Below, and on the next page, are a handful of recent projects I have worked on. If you would like information or photos of further projects, please let me know and I'd be happy to send them over to you. 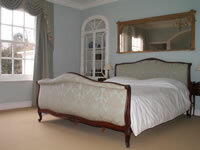 The master bedroom suite, comprising of a bedroom, bathroom and dressing room. 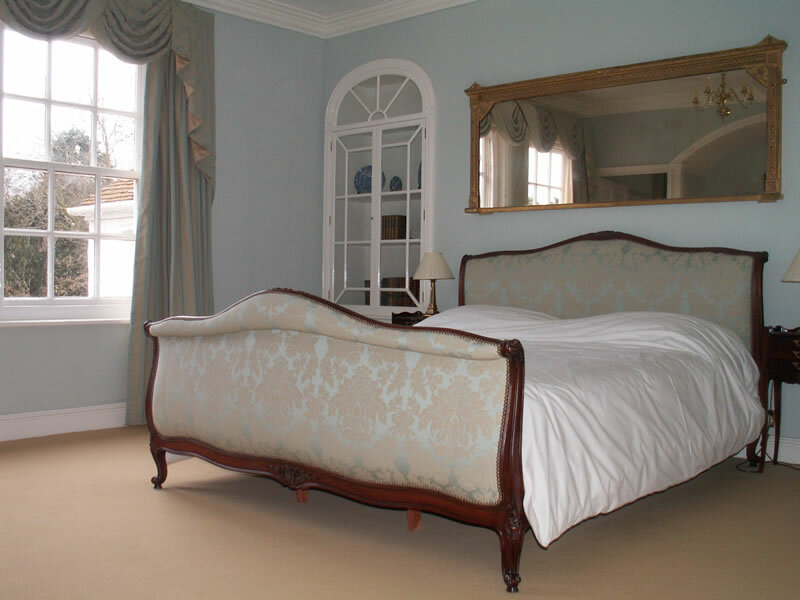 Rationalise the layout of the master bedroom suite and create a completely new look and feel for all three rooms, keeping the decor consistent with the style of the Georgian period. 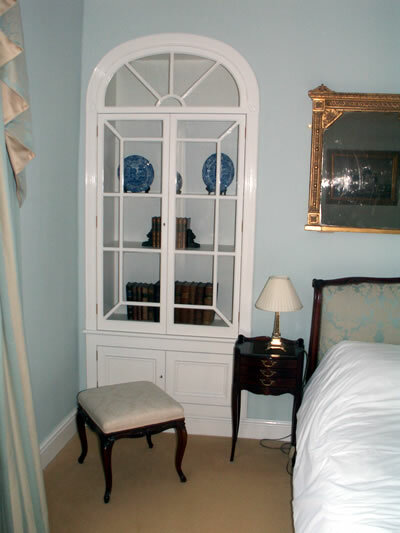 A calming cool blue colour pallet was used to compliment both the sunny aspect of this south facing room and the hectic lifestyle of our client. Touches of gold were included both to compliment the soft blues and to add a dash of grandeur. 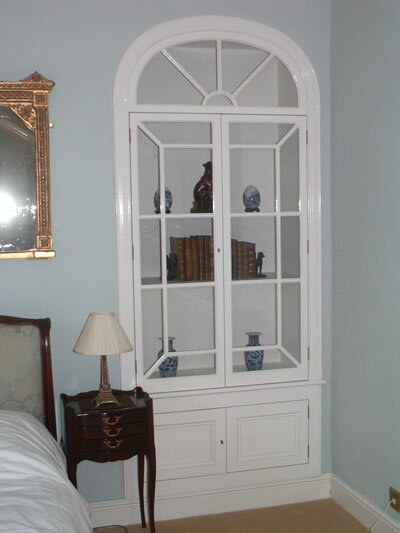 As no wardrobes were needed in the bedroom we designed two elegant Georgian style display cabinets. 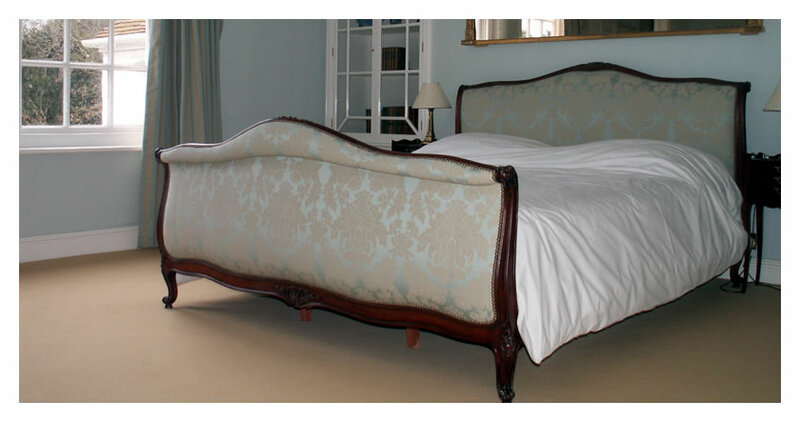 The whole look was completed by the stunning Louis XV bed and dark wood period furniture. 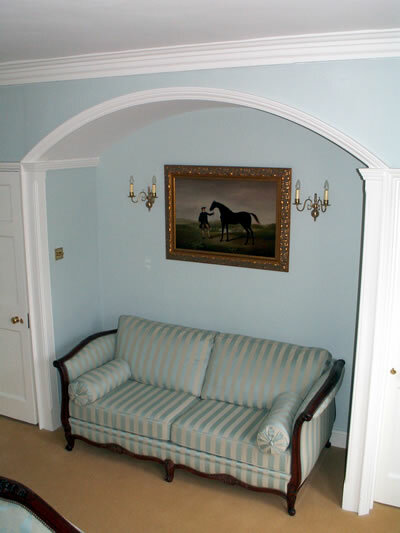 For continuity, the blue and gold colour scheme was continued into the dressing room. 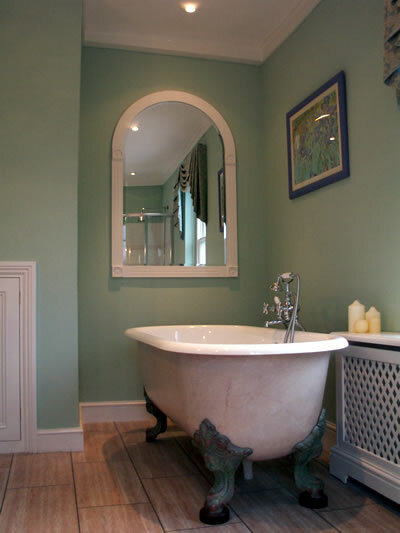 Then, to define the change of purpose we changed to a cool green for the bathroom, adding a super efficient modern shower, and finally finishing off the space with a marbled roll top bath with verdegris legs for a little pomp. Rectory Hall and upper landings. Create a new colour scheme. 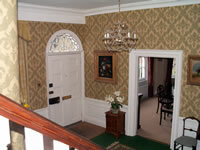 We selected a green wallpaper consistent with the Georgian style which had warm background to counteract the north facing aspect of this beautiful listed hall and staircase.